Join this vintage bus tour for a musical encounter with love, life, and history as told through the traditional songs of the North East. Led by outstanding local singers, the songs tell the people’s story and express their identity. 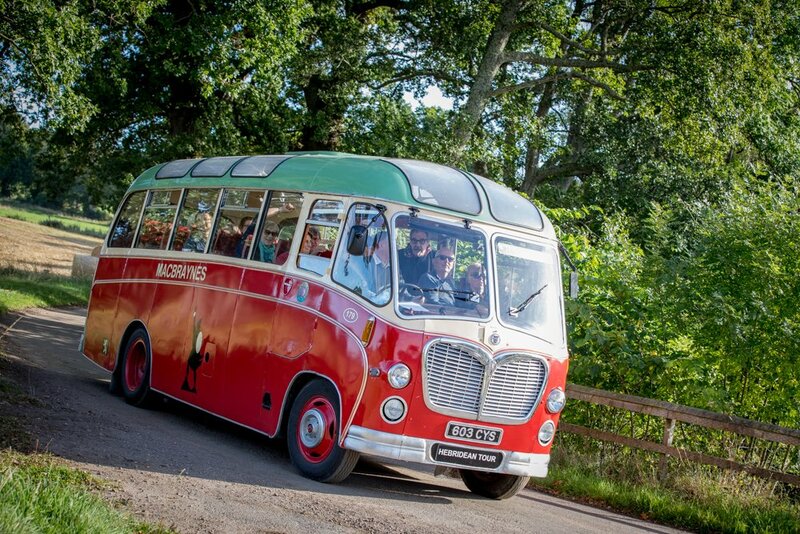 Travelling from Forres and through Darnaway, past the River Findhorn and Auldearn, the Ballad Bus allows you to explore places, events and characters behind evocative songs. Stopping for a picnic lunch on the river banks of Findhorn and a cup of tea at Darnaway Castle along the way. The Elphinstone Institute, a centre for the study of Ethnology, Folklore, and Ethnomusicology at the University of Aberdeen. Ticket price includes your picnic lunch and drink.